Asparagus contains zero cholesterol or fat & is extremely low in sodium. It is an excellent source of B vitamins that regulates blood sugar level. It is full of fibre and encourages in swift probiotic digestive movement. Asparagus is a green vegetable that is long and slender in size and shape. It is very low in calories and encourages digestive health, keeping the system healthy. While it has multiple benefits to offer, it is great especially for weight loss. Asparagus contains less than four calories per spear, has zero cholesterol or fat and is extremely low in sodium. 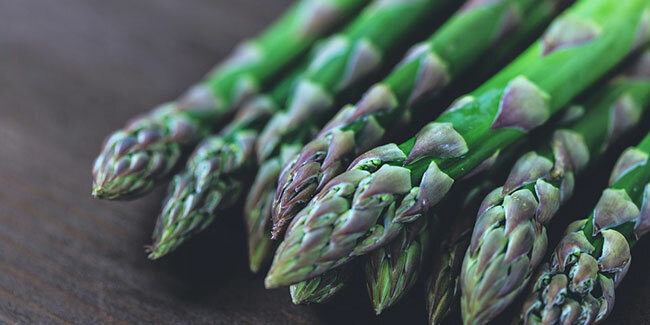 Adding on, asparagus is a rich source of potassium, folic acid, fiber, vitamin A, thiamin, glutathione, calcium, iron, vitamin C and K.
If you are looking for weight loss, here are some ways in which asparagus can help. Asparagus is very low in calories and this makes it a must add food for weight loss. It contains inulin that increases friendly bacteria in your gut. Some studies suggest that it aids in suppressing appetite. Another study had found that six gram of inulin add a total of 260 calories in food. Eating larger portions of food that are less in calories aids you to squelch hunger cravings, making you feel better about your food and thereby contributes to overall satisfaction. 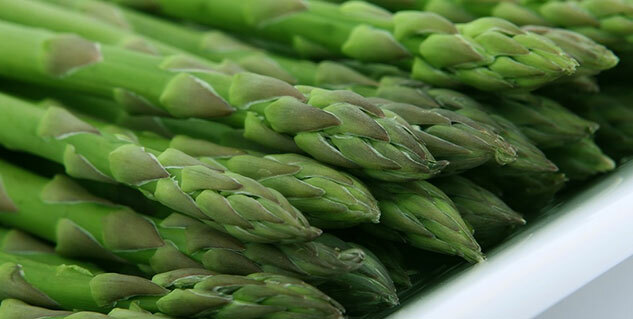 Asparagus is an excellent source of B vitamins that include B1, B2, B3 and B6. Some B vitamins help metabolize glucose that regulates blood sugar level and this further helps in avoiding craving that leads to overeating. Asparagus is full of fibre, which encourages the digestive system to keep moving and stimulating growth of probiotics. A high level of vitamin K in it makes it act like a natural diuretic, which can reduce bloating. So, include asparagus spear in your diet everyday to reap its weight loss benefits.